Originally published on ForCarol.com one year ago. I will be publishing new stuff soon, life has just gotten in the way. I bought a book on programming a few months back. But….I decided I was just too damn old to learn all this stuff again. I wished they had an app maker that was easy to use that worked well and did not require detailed programming knowledge. Maybe one exists…or more than one. As I was surfing the Internet today, I ran across this list on MASHABLE. I will copy the first three (I hope they don’t mind…), then you have to visit the web site to see the rest. I may give one or more a try….below is the article. Go HERE for the rest…of the list. If you’ve ever wanted to build an app for your business, blog, product or service, but the heavy investment of both time and money put you off, you’re not alone.The good news is that entering the mobile market no longer necessarily requires thousands of dollars and months of work. There are many mobile platforms available to help you build an app on a budget — quickly, and with no coding knowledge required.With a small investment, you can create and manage your mobile site or application using one of the platforms listed below, and start reaping the advantages of offering your customers a dedicated mobile experience, including increased awareness, engagement and revenue. 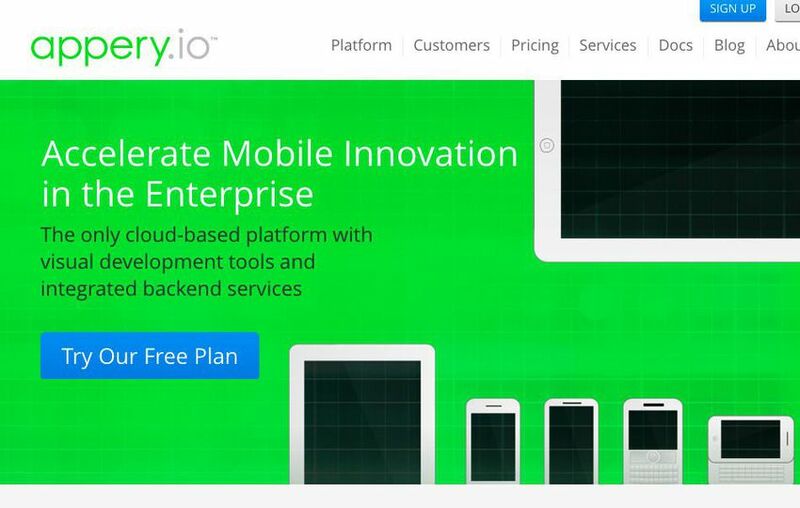 Appery is a cloud-based mobile app builder that you can use to create apps for Android, iOS and Windows Phone, and includes Apache Cordova (Phone Gap) with access to its built-in components. Since the builder runs in the cloud, there’s nothing to install or download, and it’s easy to get started quickly. It includes a visual editor using drag and drop components to build the UI. You can connect to any REST API and use it in your app, and instantly add a cloud database and backend to your app if you need to store data. You can add powerful functionality with the Appery plugin catalog, or create your own custom private plugins to use in your apps. Collaboration is simple, allowing you to share your mobile project with development teams, business users and customers in real time. 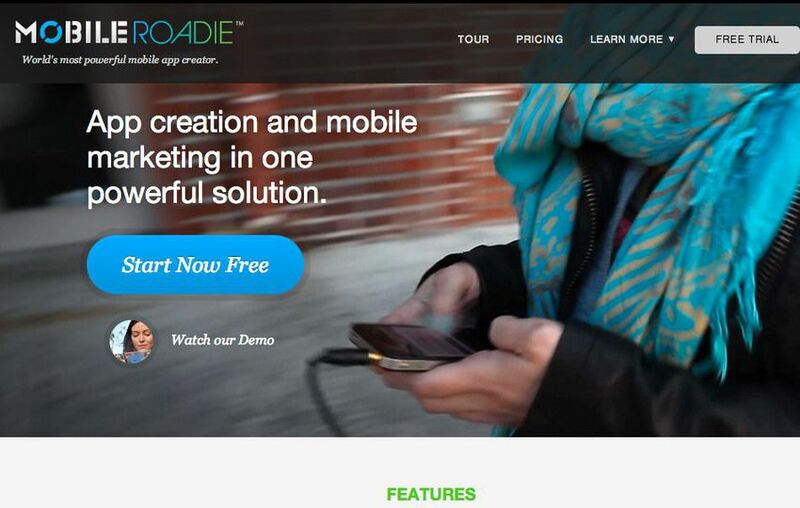 Mobile Roadie is an app creator that allows anyone to create and manage their own iOS or Android app. The platform supports all media types, with automatic importing of RSS, Twitter or Google News keywords, and an auto-refreshing fan wall through which users can chat with each other in real time. You can use the free Mobile Roadie Connect app to preview your app accurately, just as your users would on their devices. The app also guides you through the submission process, with Mobile Roadie checking the quality and appropriateness of your content. You can push content straight to your app and pull content from it to your own site or blog. The API is language agnostic, so you can pull data in a variety of formats, including XML, JSON, PHP, CSV and HTML. You can easily craft a custom look and feel for your app and apply that to all platforms, and use the suite of marketing tools once your app is launched. Price: Plans start at $125 per month (Core) and go up to $667 per month (Pro). 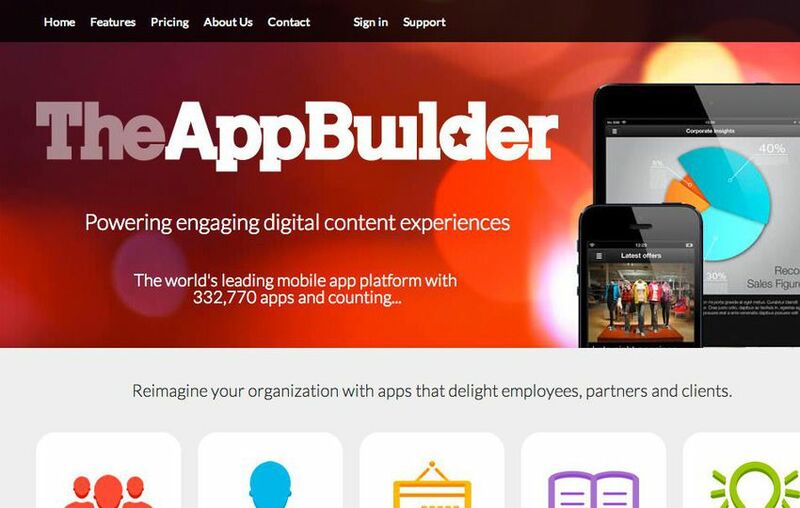 TheAppBuilder provides a suite of apps to suit employees, clients, events and brochures, with two different approaches available. You can build the app using the online toolkit, and either the training provided or TheAppBuilder itself will work with you to define and build the structure of the app and populate it with initial content. Using the dedicated AppLibrary, you can provide your users with a window into multiple apps and even customize it with your own branding. You can protect both public and private apps with usernames and passwords, and distribute them via the app store, making use of TheAppBuilder’s Active Directory integration to enable login with existing credentials and user groups. Updating the structure and content of your apps is easy, even after you go live, because you can make unlimited updates and publish on multiple mobile platforms in one click. The platform supports native iPhone, iPad and Android, with updates going live within 60 seconds of submitting a change.